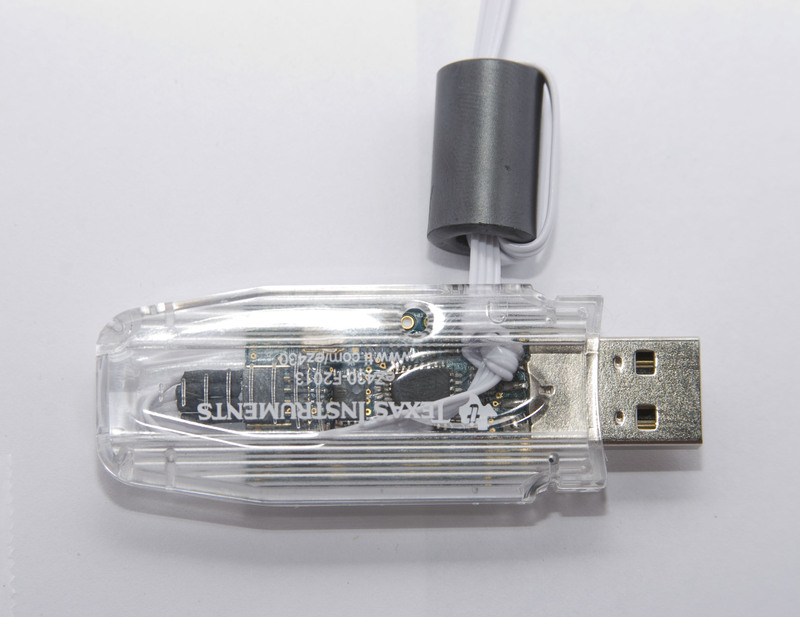 This is essentially an extension cable that connects to the dongle on one end and has a breakout pins on the other end. 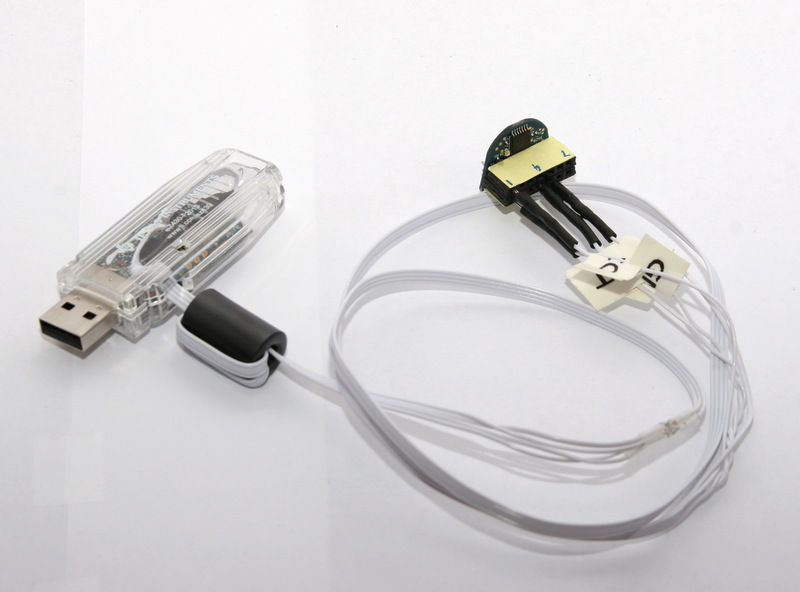 The breakout pins can be connected to the microcontroller on the breadboard which can be some distance away from the dongle. 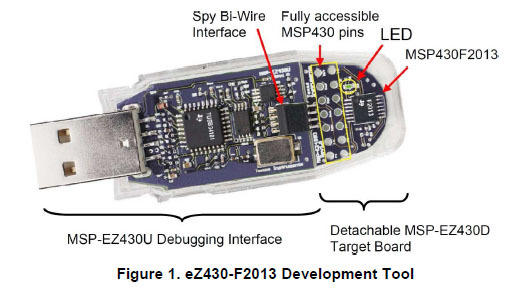 Hopefully with this i can program any 4 wire JTag/SpyByWire based microprocessor and don’t have to shell out $99 for the MSP430 USB Debugging Interface. This entry was posted on September 26, 2010 at 12:23 pm and is filed under Uncategorized. You can follow any responses to this entry through the RSS 2.0 feed. You can leave a response, or trackback from your own site. Nice job. Keeps the programmer small. For the price of the connector and the pins, though, you could have bought a LaunchPad (US $4.30). That is, if you could find one in stock. Keep an eye on my site and 43oh.com in a couple months. I may have another good use for your EZ430 (If TI ever ships it!). Good point about LaunchPad – somehow i missed it when looking for programmers. 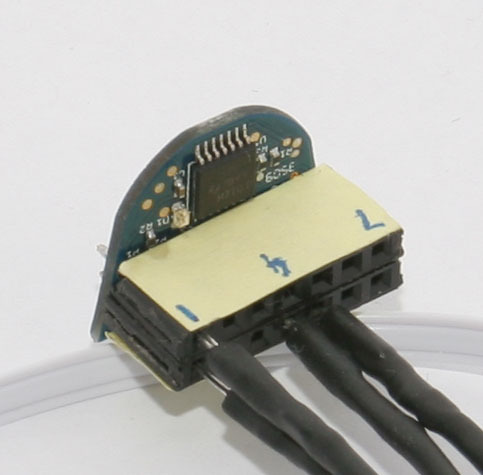 Looks like it has a standard 0.1″ connector so it’s easier to hook up and also comes with mini usb cable which will provide some distance. Although it’s not as neat looking as a usb-dongle programmer.